Do you want free traffic to your WordPress site? If you have done the SEO setting correctly, your website will receive free organic traffic from Google. I am going to show you everything on how to do the SEO setting. It is easier than it sounds so yes you can do it. By the end of this article, you should have more understanding on how to do the SEO for your WordPress site. SEO is search engine optimisation where search engine shows different websites to the users organically or naturally in the search result page base on the keywords or search queries users enter. It is a unpaid or free search result from search engine where the website get free traffic from. There is paid version search result in search engine which is the advertising method as the search engine business model. Some keywords or search queries are at high demand like the word ‘weight loss‘, ‘iphone’ and ‘beauty’ which are generally competitive in organic search result as hundred of thousand of websites are offering such product or service or blog will target those keywords so it gets brutal and become very difficult to rank at the top organic position. There are 874,000,000 web page result related to the keyword ‘weight loss’. For such high competition if you want to rank this keyword at the top of the organic search result. If you want to pay for the click, it is going to cost you $15.05 per click for an user to land on your page no matter they purchase any service or not. There are 368,000 user search globally on this keywords. Unless you have some investment or well planned, otherwise pay per click is going to cost you a fortune. I guess you know why SEO becomes important as there are many small medium companies. That is why companies invest more on SEO and it is more long term as part of the online marketing strategy. WordPress SEO is no different to SEO. The good thing about WordPress CMS is that it is highly SEO friendly. WordPress is being use by over 30% of the website in the globe and that is a reason why they like to use it. Ease of use: companies can update information easily. Open source: you can alter the programming if you want. This is important if you want to tweet the system for some SEO setting. 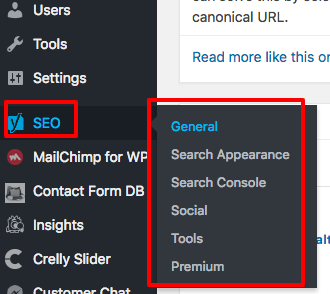 Highly SEO friendly: Even if you have not done anything with the WordPress SEO, it already comes with some basic setting. 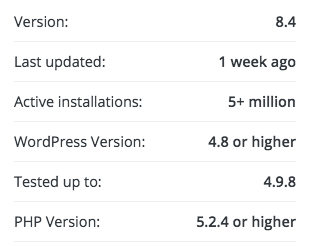 Now you know why 30% of the websites in the globe are using WordPress. I believe you are using WordPress so there are more benefits. SEO gets easier with WordPress and you could do it better than average website. If you install SEO plugin with right setting and enhance the SEO with market standard, you are already at a good position for the search result ranking. I’m happy for you if you do those. 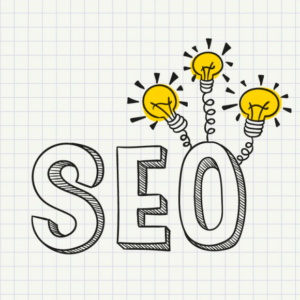 When should I implement those SEO enhancement into my WordPress site? If you are using default WordPress setting, there are so much more you could do to improve your SEO and search engine ranking. If you have no knowledge on how to do it, stay tuned as I’m about the reveal those information to you. Here are the 7 areas where you should focus on as top priority. 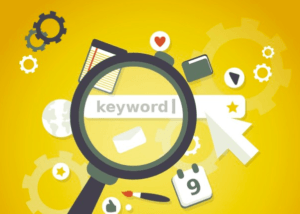 For different industries, there are different set of keywords users will search. The most important for this is to do the keywords research. Of course you have a deep industrial knowledge so you could write down a handful of keywords first. Then it is good idea to brainstorm keywords idea with colleagues as you will be surprised how people use the different keyword to search the same thing. For example, some people search for ‘barber shop’ for hair cut and some search for ‘salon’ or ‘hair salon’. Other than keywords of the service or product you provide, customer will search for other keyword or phrase. 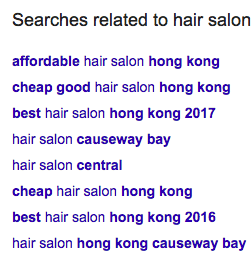 For example, client who want a hair cut or perm service DO NOT search for ‘salon’ or ‘hair salon’, they could search for ‘hair cut’, ‘blowdry’, ‘highlight or perm service’. This is called ‘customer intent’ where you need to figure out what range of keywords that your potential customers are likely to search. Luckily, there are few direction you could get an idea from. As you can see, ‘barber shop’ keyword has 189,000,000 search result and ‘hair salon’ keyword has 541,000,000 search result. So different keywords have higher or lower competition so that you need to do a keyword research to target those less competition area which you should rank better than your competitors and do a long term planning for the high competitive keywords such as backlink strategy and high quality content strategy. I understand it is not easy to think of many keywords so here are some tips. First of all, you could use Google suggest by entering keyword and it will show you the 10 suggested keywords which you can get even more by typing different keywords. Secondly, you could go to the bottom of the google search result page and there is a ‘searches related to’ your keywords where we called it LSI (latent semantic indexing). These are the keywords normally are more long tail keywords with less competition. It is a good place to start for the SEO competition and you will feel confidence on winning with more keywords / phrases. Lastly, you could use Google Ads Keyword Planner, it is free and you could generate lots of keywords from it also. You will see 2 options when you are at keyword planner, we will be using ‘find new keywords’ for keyword research. Then, you could either enter a keyword or place your competitor website there which I like also as it just simply save some time to harvest what my competitors are targeting. But this time I will just put a keyword ‘hair salon’ in. It will then shows you a result page with 12 months search volume history. At the top, you could change the location and language depends on the market you are targeting. The search volume will show you the total search (desktop + tablet + mobile) and mobile search volume. As you can see, the mobile search is now taking 70% of users search volume so that you can see how important it is to have a mobile website if your business is hair salon. Below the 12 month search volume trend, it will show you the keyword idea where you can export into excel file if that works easier for you. You can see the 4 keywords I have highlight right. I basically look for the better average monthly searches and the competition is low. In this case, you can increase your chance to focus more on those keywords to win over the customers from google search result. This is pretty cool right. I guess you get what I am try to say and this is one of the way which is free and should be easy enough for any companies to have a try. Backlink is one of the top three ranking factor so it is very important to have. Not just backlinks but quality backlinks which is even harder to get. Imagine one quality backlink out rank ten low quality backlink so that your strategy for link building mainly focus on the high quality one. I am not going to lie to you, it is difficult but essential to do. First of all, what are high quality backlink? Websites like government site, education site, organisation site, association site and news media site are more trustworthy so if they link to you, it is the high quality backlink. As a WordPress agency like ZIZSOFT Limited, we have few links in government site because we are on of the website vendor in the list so we do get this category of quality backlink. For education site, we have done some industrial sharing and tips to some universities and association, they did publish the agenda and speaker bio there so we got some links there. Also, we have some customers who allows us to put our link into their website so this is our strategy for link building. This should get you a direction how you could get more backlink and of course we can go further on this topics and it could take another 10,000 word article about it. Since this is a beginner guide for WordPress SEO, I guess this approach should get the ball rolling. One more tips on backlink. If you write a high quality content which users will definitely like and get benefit from it, they are very likely to share your content elsewhere and perhaps embed your link from their website or blog. This is very likely to be happened so produce higher quality as much as you could can facilitate this link building process. 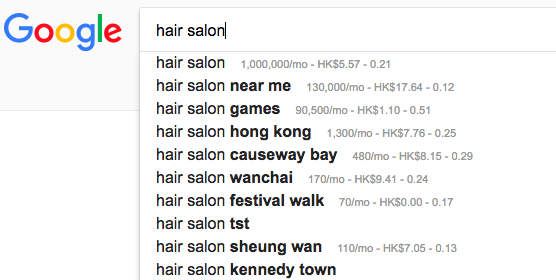 As you can see the 70% of the search volume from google for the ‘hair salon’ keyword is mobile search, so you can imagine the importance of a mobile website presence. Beside the search volume evidence, in march 2018, google announce mobile-first indexing algorithm so that it is no doubt that mobile is one of the important SEO factor. Beside this mobile-first indexing announcement, there are few more minor updates related to mobile indexing also. When I say mobile site, I actually mean responsive website design where it can support multi screen device ranging from desktop, tablet to difference screen sizes of smartphone. Google offers a free tool to test a site whether it is mobile friendly or not. Basically you enter a website and it will tell you whether it is mobile friendly or not. Actually it is not that stupid. It tells you more information to suggest you a few direction to enhance your mobile website performance. Speed and website optimisation are more important than at the past. In the past, they were using desktop with wifi connection which is normally fast and the computer specification can handle many website feature / request. That is why we had use a lot fo Flash animation in the website in old day. Nowadays, it is all around mobile so the device screen size is small with less powerful specification than desktop computer. I know recent smartphones are just like computer configuration but there are still numbers of smartphone users who are not on the latest smartphone version. I have wrote another post which is about website speed. It gives you more insight about the speed matter for website page view loss and conversion loss. Here is the summary of that post. 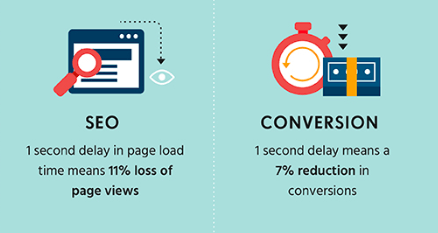 For SEO prospective, according to the study, 1 second delay result in 11% loss of page views and 7% reduction in conversion. So you will need to ensure your website is not too slow. But what is not too slow right? From another study from hobo-web, you can see even your website is incredibly fast to load within 1 second, a small percentage of people will still drop off. A suggestion from Google is within 2 seconds which most sites cannot fulfil. So a fair loading speed between 2-5 second is fair. 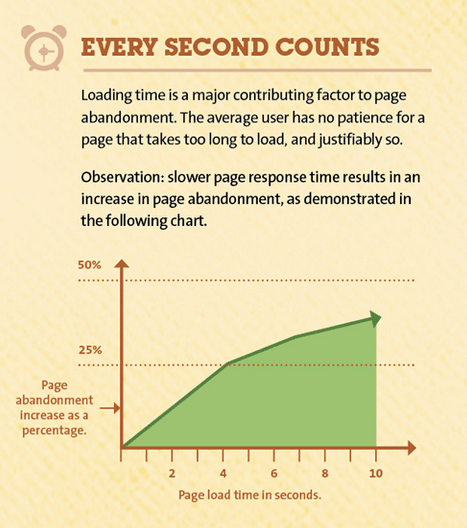 5-8 second is the maximal tolerance for users as they get less patience from time to time. Smartphone is more powerful so users expect website to be loaded faster which make sense. So optimising the website to load the necessary information require planning than showing everything to users like in a desktop view. Search engine likes unique, original & fresh content instead of copying from someone else as it has an algorithm to detect duplicate content. Very likely even if you did clone somebody’s work, your web page won’t be able to rank anyway and it will lower your overall quality of the website which former called pagerank so it is not worth to clone somebody’s work OR maybe put it this way, this method does not work to foul search engine to grab more keyword from your website anymore. Instead, google introduces EAT which is Expertise, Authoritativeness, Trustworthiness. If your content is very in-depth knowledge which fall into the Expertise category. You need to be expert in your field so your content is trustful and useful for users. If you write about blog post about financial information, it is best if you have been in that industry for some time with insight so your content will be valuable to users. Authority is like the author credibility. If you have Andy Lau (famous artist) to tell you how to act, it is way better than me showing you how to act. It all rely on the person reputation and so referring to some expertise content is great. It will be even better if you mentioned who do you refer from and is he/she expert in that field. This can be easily spot for ecommerce website. 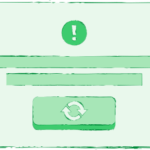 If an ecommerce website does not have SSL (HTTPS) and it looks not professional, it sends a message to users that this website may not be trusted so this is more like just the author itself but the overall presentation. 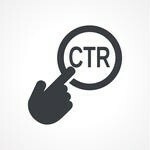 CTR is click through rate, it is the ratio that people see your website in google search result and click on your website. You may wonder how hard could this be? This is hard as there are many ways to write your title tag. What you need to write for title has to be clickworthy, NOT clickbait as this drives users crazy. If you fool users to visit your content and they have a different expectation on the content. Your CTR maybe high but google knows those users click ‘back’ and exit your web page so the duration on your page maybe only 10-20 seconds. This sends a signal to google that your content is either irrelevant to the keyword they search for OR your content is low quality. Either way to make your search ranking drop. So what you need to do is providing useful content to users and they can engage with. The longer they stay at your web page without clicking ‘back’, the better it gets and google knows your web page content is highly relevant to the users and that’s why they stick around longer. Even better, if your content is valuable and useful, users tend to share or embed to their blog / website. Crawl-able may sounds techie but it is not that difficult to understand. Google needs to crawl million of millions website daily and if you make this job easier for google. Yes they will crawl your website in the way you want to be. What you need to do in order to make your website crawl-able? There will be some technology term I will use and if you really do not understand what it means. Text me after this article and I am here to help. For basic setting, you need a robots.txt to list your sitemap xml and then submit to google via search console (former called google webmaster tool). This will notify google what pages you want it to be indexed and what does not? Yes there are pages you do not want google to index. E.g. disclaimer page, admin login page, any pages which does not give useful information to users in search engine point of view. You may consider why don’t I just submit everything? Yes you could do that but this will give too much irrelevant information to google which will confuse them of the keywords / search queries you want to be found. So it’s better to stick with the pages that are useful to users and it is also the product / service you are offering to users as I do not think you want irrelevant traffic to your website even it is free traffic. As this will make google harder to understand what you are trying to rank for. Which SEO plugins should I use? The SEO plugin I’m using is called YOAST SEO which is the most popular SEO among other SEO plugin. It is not hard to understand why it is popular. They are very constantly update their plugin in order to adapt the SEO standard nowadays. As you can see, they are now at version 8.4 and last updated is just a week ago. See the active installations they have got? 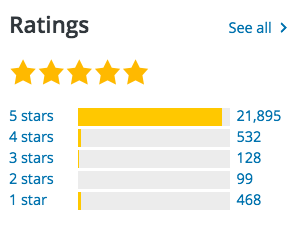 5M sites are using it and the 5 stars good rating from the actual users which can’t be wrong. 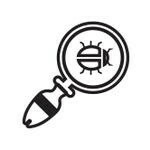 This is my personal favourite and suppose many users like to use it also as it does the on-page SEO configuration for you as well as the sitemap XML to make your website crawl-able. There is only one tiny bit they did not offer which is showing the sitemap xml in the robots.txt file so that you could use Download Surbma – Yoast SEO Sitemap to robots.txt plugin which can perform this task. As the name of this plugin say clearly, the only task this plugin does is to include the sitemap xml to robots.txt so search engine can crawl it even if you’ve submitted sitemap xml to webmaster tool or search console. 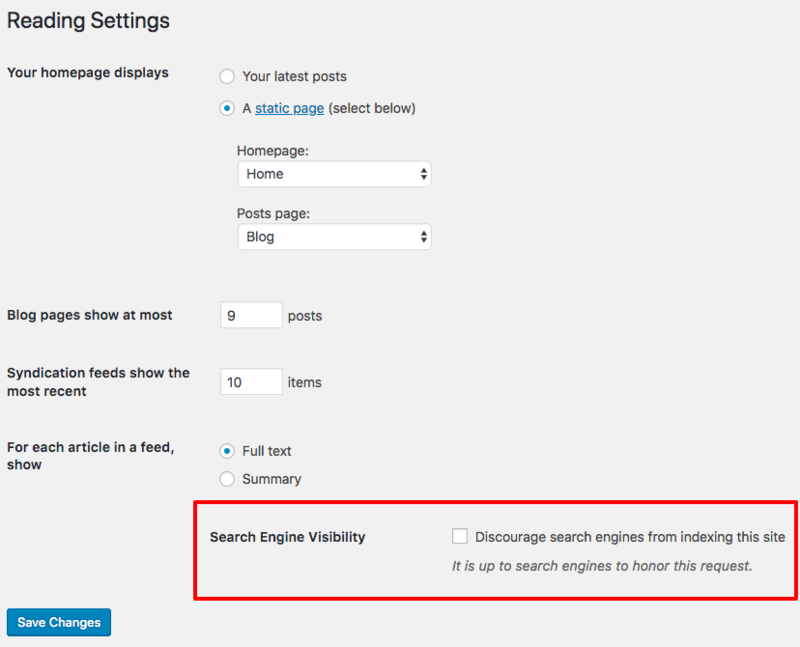 How to configure and implement SEO configuration in my WordPress site? 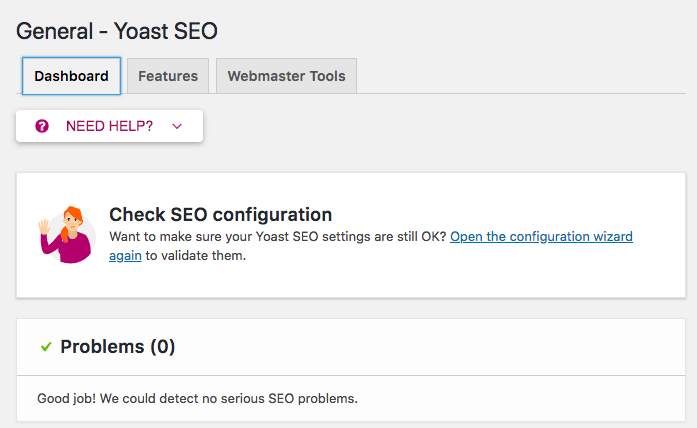 After you’ve downloaded and activated the YOAST SEO plugin, you will see the new menu item called SEO with 6 sub-menu. First of all, click on the general sub-menu, there is a configuration wizard which you do not need as it is not too hard to configure anyway. There are 3 tab on the top: dashboard, features, webmaster tools. 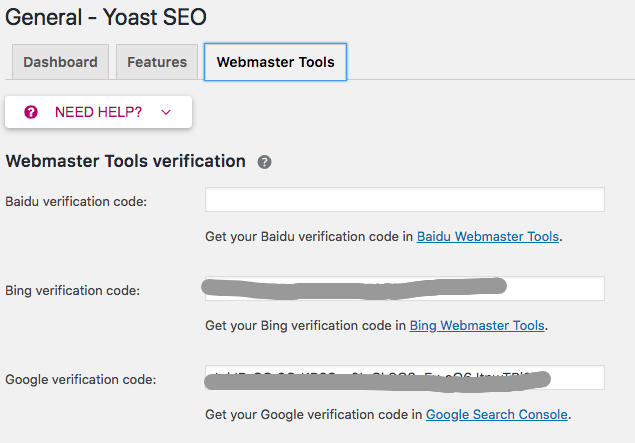 I suppose if you are targeting HK market, you can generate a verification code from Google and Bing webmaster tool / search console and then copy & paste back to your YOAST SEO webmaster tool verification textfield. Is it easy? That’s done for establish a relationship directly with search engine. This is more like a hand shaking. Ensure you have turn ‘on’ XML sitemap which is ‘on’ by default. Click on the question mark next to XML sitemaps. You can find ‘see the XML sitemap’, click on it and you will a search engine readable version of sitemap. It will show you which plugin generates this XML sitemap. 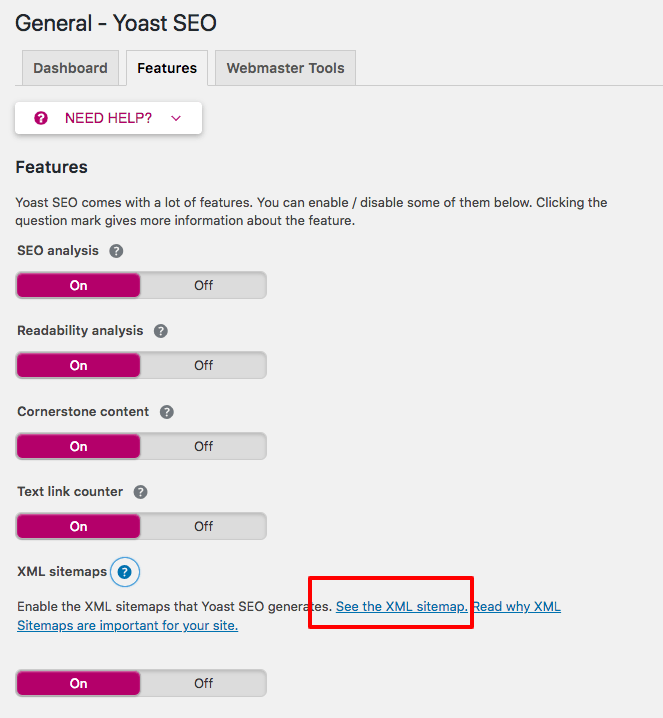 You will need to copy the XML sitemap URL into webmaster tool where has a menu called sitemap submission. Google does not index everything you submit, it has its own way to define whether they will index or not. 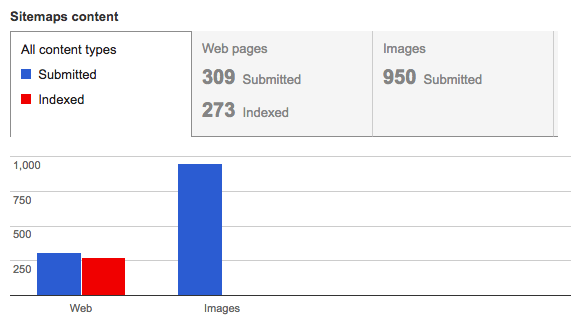 As you can see, I submit around 309 web page there but they will only index 273 as they think the difference is not worth to index. You can register google or bing webmaster tool for FREE and it is an important key to notify search engine your content to be searched. There is a major SEO mistake but actually it is a careless mistake. When you develop the website or outsource to a company to handle your WordPress site development. I’ve seen several times that they tick the box ‘discourage search engine from indexing this site’. This actually makes sense when they are in development. But there are chances that they forgot to un-tick when they launch so that their website can never be found. I’ve handled several enquiries about why their company website cannot be shown in google and this is one of the major and careless mistake we’ve encountered from their site. I know you will laugh how silly this is. True me, it happens as I’ve seen several times already. Where do I learn more about WordPress SEO? Beside reading blog online from the SEO expert like Brian Dean and Neil Patel. There are many SEO expert who share tips in twitter. Yes I know twitter is not popular in HK but this is actually the reason I still use it. I use that to keep track of SEO news and hacks. Also, you could ask me also as we can do a FREE website health test for you anyway and we will schedule a call with you of our finding in order to improve your WordPress site speed, performance, security and SEO issue. Could you do WordPress SEO setting for me? Certainly, we can see what we could do with a reasonable fee but I suppose the best approach would be the FREE website health test so that you can get an idea of our finding first and whether it makes sense to you before we move further. SEO is not a difficult thing but it does takes time to learn, run experiment and see result. Since google keeps changing algorithm from time to time, an on-goingly implementation for the best SEO practice becomes essential but it definitely worths the time and effort as paid advertising fee skyrocket but most SME cannot afford and compete this bidding price with big brand. Feel free to ask me anything on SEO or WordPress and we are here to help.